Call to request another wood. 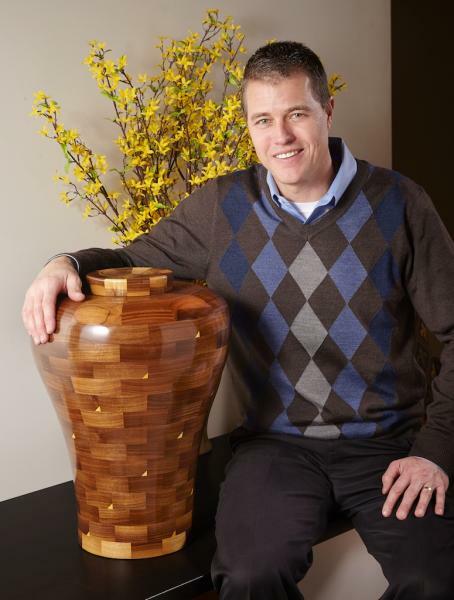 Made from 192 interlocking wooden pieces, this handcrafted wooden urn is the largest in the Steve Shannon Collection. The size makes it useful for celebrating the life of a horse or to hold an entire family�s remains. Pictured on this page is an urn made with Black Walnut wood; however, Steve Shannon can build a custom urn in this style in Cherry, Maple, Mahogany, Jatoba, Yellowheart, or a mixture of these woods. 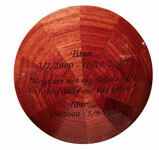 To order a custom equestrian or family urn, please contact us before ordering.